The past few days I’ve been thinking about Spirited Away quite a bit. It’s one of my favourite movies (one with great replay value) and I just love the imagination that created the spirits and creatures in the movie. I remember when I first watched the movie I felt so anxious and sad for Chihiro, the little girl who is suddenly separated from her parents in a strange place. But Chihiro was able to pull herself together and along the way made friends with the beings she came in contact with. 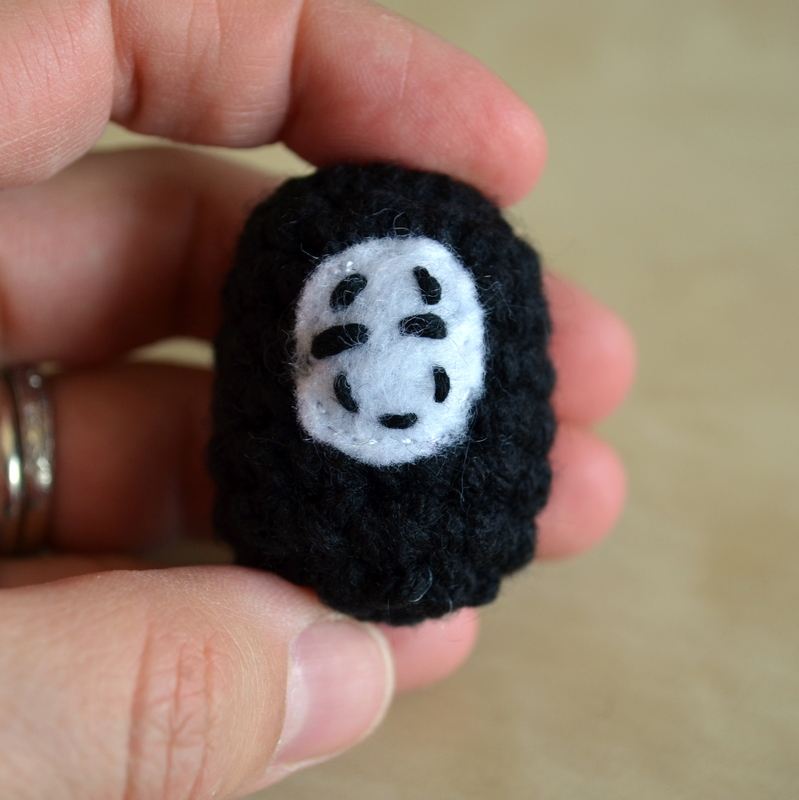 One of the spirits I really loved was No-Face and that is what I decided to crochet. 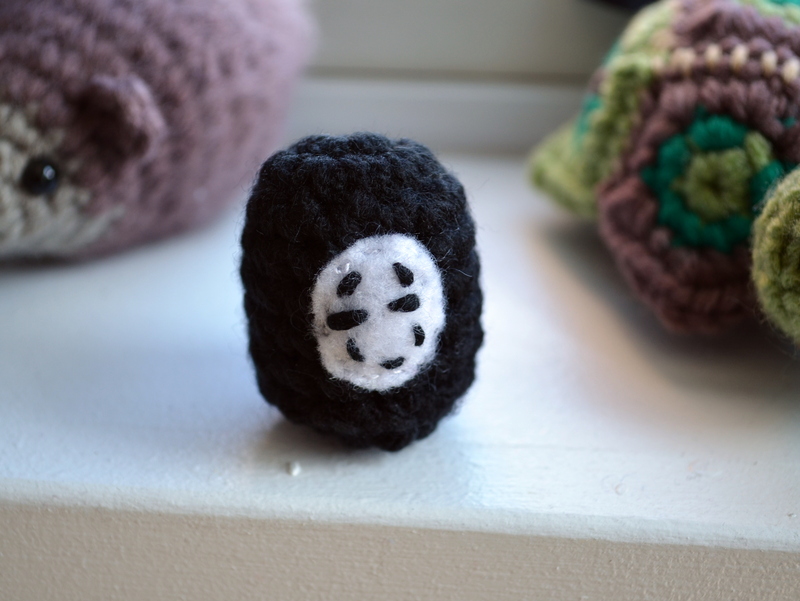 It’s a tiny No-Face, just under 2 inches. I’m thinking I might turn him into a key chain but for now he’s making himself at home with my other creations. 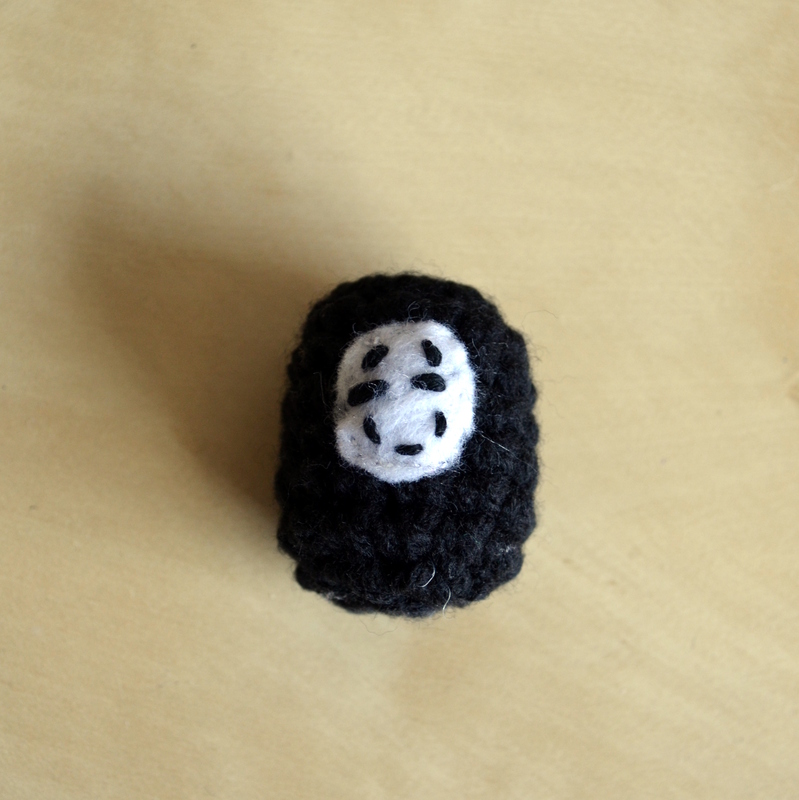 To make your own Mini No-Face download the PDF pattern here. Also available on my Etsy store here. This is just too cute…and quite portable too! Having a little No Face in my pocket could definitely give a confidence boost.